M-Store comes with 3 Header Options & Separate Single Product / One Page Version to choose from. And it is not considering that it's built with SASS which gives you creative freedom to make your own unique style with ease. It includes 3 Front Page Variations, Separate Single Product / One Page Ajax Version, 6 Shop Catalog Variants, Blog, Contacts (with working Ajax form), FAQ, etc. 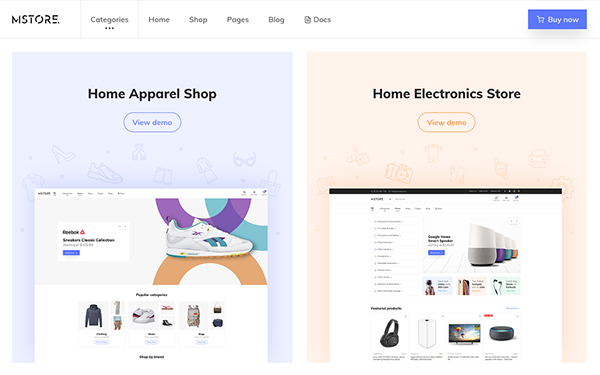 to build full-featured E-Commerce website.